Before you Upgrade to iOS 6…. Apple’s latest and much awaited mobile operating system releases on September 19th, a few days ahead of the iPhone 5′s launch on September 21st. iOS 6 brings a lot of new stuff and you would be excited to upgrade as soon as it becomes available. It is important to keep a few things in mind and prepare yourself for a glitch free upgrade to iOS 6. Most of the Apple product upgrades work perfectly and there isn’t a need for special care like in case of Windows products. However, it is impossible for the engineers at Cupertino to imagine and test all possible aspects. There are millions of iOS devices out there and each one is unique in it’s own sense. it is possible that your device has something unique – be it an app or a stuck process, which may disrupt your upgrade process. Here are a short note on a few important things to remember before you upgrade to iOS 6. 1. Get iTunes 10.7: Apple released iTunes 10.7 update a full week ahead of the iOS 6 launch date to try and lessen the blow to its servers at launch and to make sure users have plenty of time to get prepared. If you haven’t updated your iTunes account to 10.7 – please do it now! You can do it along with the iOS 6 update as well, however, if you want to be amongst the first ones to get iOS 6 – the time is now! 2. Back up prior to updating is always a good idea: Make sure you backup, either via sync cable to your computer, or wirelessly to iCloud, before you run the iOS 6 update. Invariably, a small group of users runs into issues, and if you’re part of that group you’ll want a recovery strategy. 3. Clean up your apps in iTunes: We tend to download a lot of apps, especially free ones. Apple is apparently pushing hard to get apps updated in time for iOS 6 and the iPhone 5, but that doesn’t mean all your favorites will be ready to work on the latest OS. With each major change, the possibility of incompatibility issues and quirks arises, so get ready to be patient and it also makes sense to cleanup unwanted apps to reduce the chances of something going wrong. 4. Have a power source handy: Running out of power in the middle of an update could potentially be a big problem, and there’s no real reason not to exercise caution here. 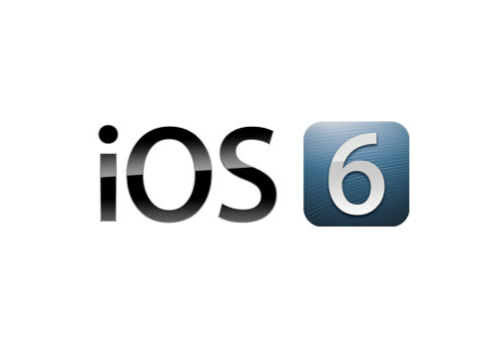 5. iOS 6 will be available over-the-air: iOS 5 users need not plug your iOS device in to download and install iOS 6. Those yet to get iOS 5 will have to plug in their device. Over-the-air makes it easier to upgrade, which is why iOS 5′s updates generally enjoy wide adoption among the iOS device user base. 6. Be prepared to run into server errors or delays: Be prepared to wait for your update to come through. There are millions of Apple fans wanting to be amongst the first ones to get the new update. If you’re encountering errors, being patient will help more than trusting your hardware to questionable mirrors of reported direct download links for iOS 6 update files that you can install manually. Apple now has a massive new server farm in North Carolina and going by the relatively smooth iPhone 5 pre-orders, it is possible that iOS 6 upgrade process will be smoother than iOS 5. 7. Block your time: 10 AM PST/1 PM EST is the most likely arrival time. This is the time that Apple released the update last year with iOS 5, and the year before that with iOS 4. Apple has not confirmed time, but it is your best possible bet.